In his “Sportsperson of the Year” cover story, S. L. Price offers a bevy of stats on why Serena Williams deserves the honor. Williams, 34, won three major titles, went 53–3 and provided at least one new measure of her tyrannical three-year reign at No. 1. For six weeks this summer—and for the first time in the 40-year history of the WTA rankings—Williams amassed twice as many ranking points as the world No. 2; at one point that gap grew larger than the one between No. 2 and No. 1,000. 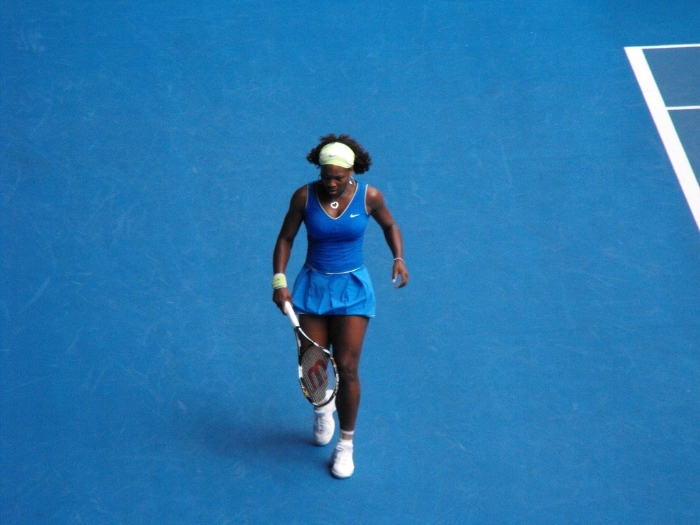 Williams’s 21 career Grand Slam singles titles are just one short of Steffi Graf’s Open-era record. This is Serena, and she has suffered. This is Serena, and she has loved. In 2001, a 19-year-old Serena beats Kim Clijsters in the Indian Wells semi-finals against a cacophony of racial slurs and boos. Her father and coach says he heard the n-word. 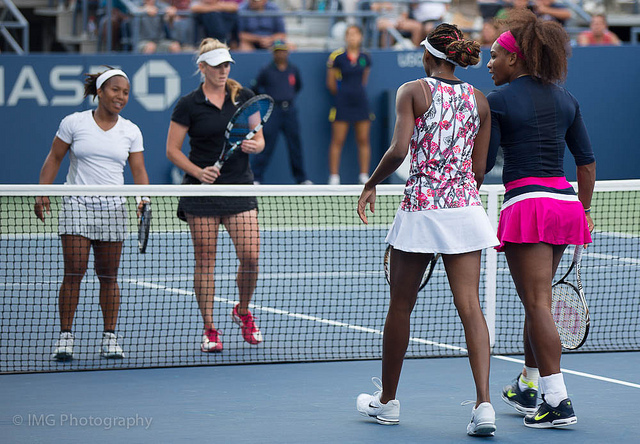 Neither she nor her tennis-star sister, Venus, return to the Tennis Garden. Until this year. The collective pain of the Williams family lingers for more than a decade. Price suggests that some family members still avoid going there. Why risk the shame? Why risk the ostracism? So when Serena decides that she wants reconciliation, when she cannot ignore the tenants of her Jehovah Witness’ faith any longer, she must first negotiate her decision with her loved ones. So when Price tells us that Serena initially approaches her parents and her sisters about her decision to play at Indian Wells, I imagine her desire to honor their grievance against her conviction to forgive. How do you reconcile with the outside party without catalyzing unintended familial consequences? How do you share your resolution without shaming someone for not sharing yours? At age 22, Serena loses her older sister Yetunde. Yetunde is a mother of three children, a registered nurse, the owner of a beauty salon, a personal assistant to the tennis prodigies, and now, suddenly, slumped in a car seat next to her boyfriend. There were five sisters and now there are four. Twelve years later, Serena’s friend, Sheryl Sandberg, loses her husband in a freak exercising accident. So Serena speaks to Sheryl from her own wound. Later, 56,000 people favorite an Instagram post about Jackie Baila Pete Williams, Serena’s late dog. In the most accomplished year of her career, Serena renegotiates her relationship with weakness and vulnerability. It is only six months after her “Serena Slam,” but she talks about Indian Wells. Uproxx Trumpified all 30 NFL logos. Here is one idea for Washington's football team. Foxboro bros. Here’s a Patriot ready to Make America Great Again. Tom Brady is loyal to his poll-leading homeboy, Donald Trump. (We’ve known this for some time.) Wondering how Brady responded when asked to elaborate on how far his “support” for his friends in “everything they do” goes? He deflated—um, ended—the press conference, walking out before getting to defla—ugh, sorry, I mean *clear* the air about their friendship. Brady sure knows how to #StickToSports when he needs to. Since the only people more hostile to brown people than Donald Trump are Trump fans leaving a Red Sox game, we're not terribly surprised. Hopefully he’ll back off the free expression of student athletes and move to more noble pursuits. Or, maybe he'll try banning seafood from food stamp purchases. “When it's not in your heart, it's not in your anger either,” says Cyd Ziegler, who helps us understand why Rondo’s posture (and for that matter, Kobe Bryant’s) isn’t enough. ... and you want to Make America Great Again, share this with your friends and show them how to subscribe so they can receive Foul and Fair straight to their inbox. As always, we'd love your feedback, advice, or imitation of the Serena Crip Walk.